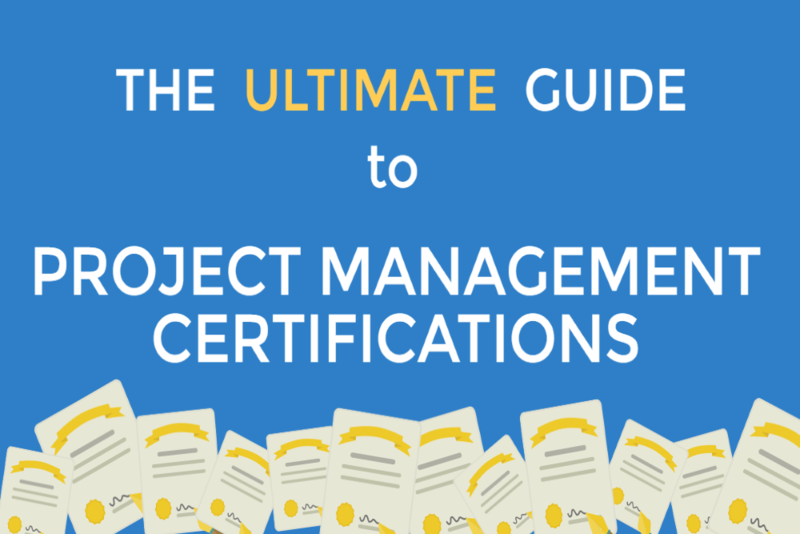 Last week, we posted the first part of our Ultimate Project Management Certification Guide to give project managers and aspiring project managers an overview over the most popular certifications. Why should you get certified? A certification helps project managers prove that they have in-depth knowledge of PM methodologies, and are also able to apply them in practice – this also has a positive impact on your salary. As the PMI certifications are the most widely known ones, we dedicated a whole post to the certifications. In this second part, we’re concentrating on other popular certifications. It’s important to note though that all these certifications are not in competition with each other, they often actually complement each other – some can actually function as a prerequisite for other certifications. Depending on your situation, you might want to consider getting more than one certification. PRINCE2 is actually a project management methodology used in many organizations, including various UK government institutions. As it’s a very comprehensive methodology, you can also get certified to show that you have the necessary knowledge and skills on the method, and on project management in general. There are two PRINCE2 certifications that build upon each other. The PRINCE2 Foundation certificate confirms that you understand and can apply the method competently and effectively, whether you’re a team member or project manager. The PRINCE2 Foundation certification is a prerequisite for the PRINCE2 Practitioner certification. This certification is not just aimed at established project managers, but also aspiring PMs and anyone who is involved in the implementation of projects. There are no formal requirements or prerequisites, but applicants should ideally have some basic PM knowledge. This certification teaches project manager how to apply PRINCE2 principles and how to manage and lead PRINCE2 projects. As this is a more advanced certification, which allows you to hold the official status of certified PRINCE2 practitioner, it is more aimed at established and aspiring project managers. Applicants should have a comprehensive knowledge of the principles of PRINCE2 and also have the ability to apply them in practice. Take 150 minute open book exam (official PRINCE2 manual) with 8 questions (10 question items per question; at least 44 marks to pass). If you want to keep your status as registered PRINCE2 Practitioner, you need to take and pass a re-registration exam within 3-5 years of your original certification: 60 minute open book exam with 3 questions (10 question items per question; at least 17 marks to pass). Just as the name implies, the International Project Management Association has numerous Member Associations (MA) globally. Each organization might have differing examination methods, but the requirements remain the same. In this post, we’ll concentrate on the 4-level certification program for individuals (role-based). You don’t need to get all 4 certifications, but ideally, your goal should be to reach a higher level certification, i.e. continually develop your PM skills. Those who manage complex project portfolios and programs. The certification is valid for 5 years. Different countries have different requirements for the re-certification, but you will have to prove that you have continued with your professional and technical training (e.g. in form of PDUs) over the five years. Those who manage complex projects. Applicants must have a minimum of 5 years of experience: 3 in a leadership position, and 2 years of project management experience (obtained in last 8 years). Those who manage moderately complex projects. Applicants must have a minimum of 3 years of project management experience in a leadership position (obtained in last 6 years). Those who work in project management and want to apply their PM knowledge. Having a Green PM certification proves that you understand the impact your projects have on the natural and social environment. It also shows that you have the necessary skills and knowledge in both sustainability and project management. Everyone who wants to gain knowledge in leading more sustainable projects. Take a multiple-choice exam with 150 questions (minimum passing score: 75%). The certification is valid for 3 years, after which you need to submit 1 case study demonstrating your application of PRiSM and/or P5 methods in a project. Project managers who want to validate their competence in using sustainable methods to manage projects. The certification is valid for 3 years, after which you need to submit 1 case study that meets the criteria of the certification board at the time of the re-certification. The Ultimate Guide to Project Management Certifications (Part 2): PRINCE2, IPMA and Green PM - InLoox • Copyright 1999-2019 © InLoox, Inc. All rights reserved.